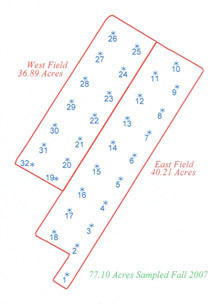 Since 1994, Stratford Agri-Analysis has provided accurate soil tests and soil sampling to more than 7500 farms - a total of more then 3/4 million acres! When it comes to soil testing and soil sampling, our professional team has the experience and expertise. 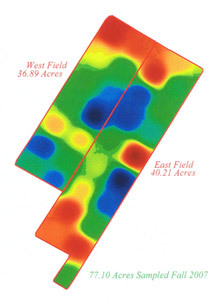 Our agronomists are committed to providing you with accurate recommendations. 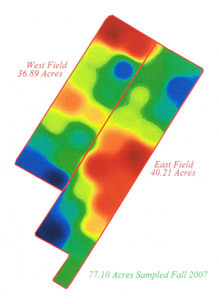 We offer farmers a choice of comprehensive soil sampling packages. Each one is designed to help manage soil fertility - resulting in better yields and lower input costs. You may pull your own composite soil samples if you wish. Follow the guidelines provided to ensure a good sample is taken. 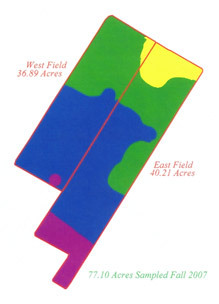 For more information on how to take a soil sample you can print the soil sampling brochure provided in the right margin. 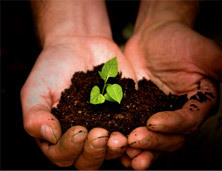 Click here to review our full price list for soil analysis and testing packages. "Soil testing is one of the best risk management tools available to manage agronomic, economic and environmental risk"
says Len Kryzanowski of Alberta Ag. in a CBC Editorial. 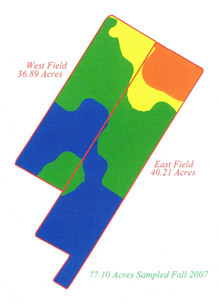 "Knowing what your soil test levels are eliminates the guessing for both fertilizers and manure nutrients." "For fall applications, you save immediately by only applying the nutrients you need. 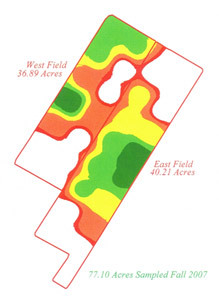 If you'll be applying in the spring, you can use the soil test results help to devise a cropping strategy to maximize returns." "Those of us who promote soil testing sometimes sound like a broken record season after season, year after year, we recite the merits of this practice. But the reasons for testing get stronger with every rise in fertilizer prices and change in crop prices." "The money you put into the ground to grow a crop is always at risk. Who knows what commodity prices will be like a year from now? Who knows if you'll even have a crop to sell?"